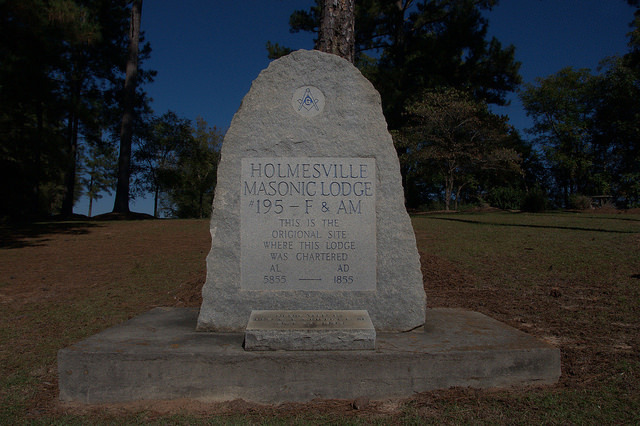 Located in a roadside park on Georgia Highway 15, south of Baxley, this granite marker notes the charter site of the Holmesville Masonic Lodge, No. 195, Free & Accepted Masons.Other markers and monuments (a Confederate memorial is pictured in the next post) here pay tribute to the first county seat of Appling County, Holmesville. 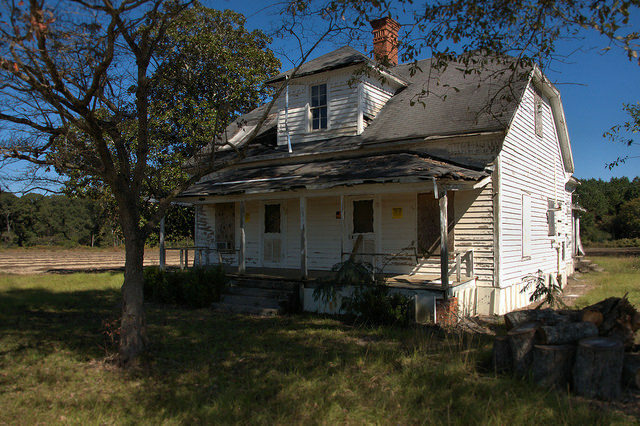 A bronze tablet (not pictured) placed by the Colonel Daniel Appling Chapter of the Daughters of the American Revolution notes that Holmesville was incorporated here on 8 December 1828, on the property of Solomon Kennedy. 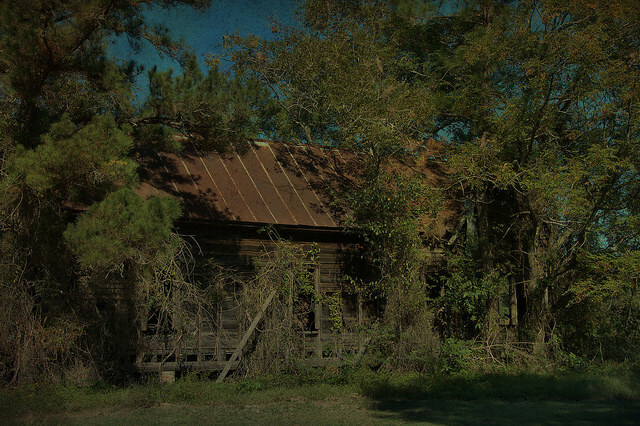 At the time of its founding, present-day Appling County, encompassed all or part of 12 counties: Appling; Atkinson; Bacon; Brantley; Charlton; Clinch; Coffee; Echols; Jeff Davis; Pierce; Ware; and Wayne. 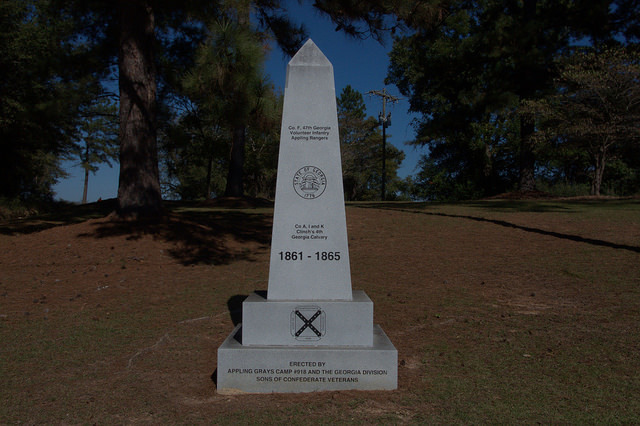 This obelisk was placed by the Appling Grays Camp #918 and the Georgia Division, Sons of Confederate Veterans. It memorializes Confederate units from numerous counties that were once part of a larger Appling County: Company F, 47th Georgia Volunteer Infantry, Appling Rangers; Companies I & K, Clinch’s 4th Georgia Cavalry; Company I, 27th Georgia Volunteer Infantry, Appling Grays; Captain John Mayers’s Appling County Cavalry; Company B, 54th Georgia Volunteer Infantry, Appling Volunteers; Captain Ben Milikin’s Appling County Militia; Company K, 54th Georgia Volunteer Infanty, Satilla Rifles; Captain Silas Crosby’s Appling County Militia.